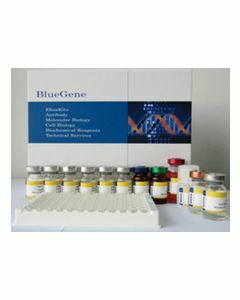 Z-DNA-binding protein 1 (Zbp1), Rat, Recombinant Protein, E.coli, CSB-EP837712RA | ARP American Research Products, Inc.
All Research Products are sold for laboratory RESEARCH USE ONLY and ARE NOT TO BE USED FOR HUMAN OR ANIMAL THERAPEUTIC OR DIAGNOSTIC APPLICATIONS. The information presented is believed to be accurate; however, said information and products are offered without warranty or guarantee since the ultimate conditions of use and the variability of the materials treated are beyond our control. Nothing disclosed herein is to be construed as a recommendation to use our products in violation of any patents. 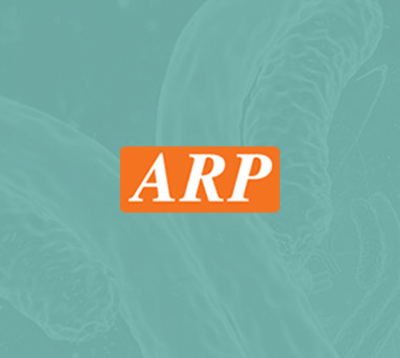 ARP American Research Products, Inc. does not submit its products for regulatory review by any government body or other organization, and we do not validate them for clinical, therapeutic or diagnostic use, or for safety and effectiveness. You are solely responsible for making sure that the way you use the products complies with applicable laws, regulations and governmental policies and for obtaining all necessary approvals, intellectual property rights, licenses and permissions that you may need related to your use. Under no circumstances shall ARP American Research Products, Inc. be liable for damages, whether consequential, compensatory, incidental or special, strict liability or negligence, breach of warranty or any other theory arising out of the use of the products available from ARP American Research Products, Inc. Nothing contained herein warrants that the use of the products will not infringe on the claims of any patents covering the product itself or the use thereof in combination with other products or in the operation of any process. ARP American Research Products, Inc. disclaims any and all representations or warranties of any kind whatsoever, express or implied, including without limitation any implied warranties of merchantability or fitness for a particular purpose, of non-infringement, or regarding results obtained through the use of any product, whether arising from a statute or otherwise in law or from a course of performance, dealing or usage of trade.